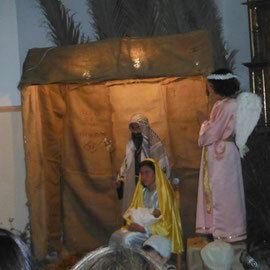 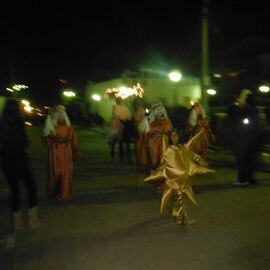 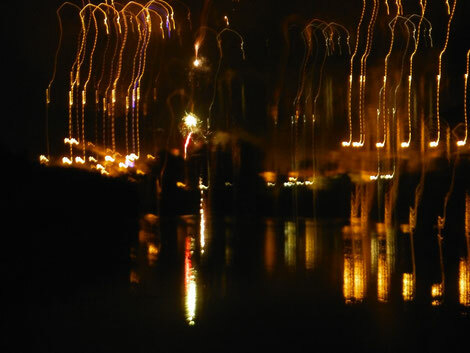 The Three Kings come to Sanlúcar, heralded by the star. The Three Kings pay their respects to the new king. 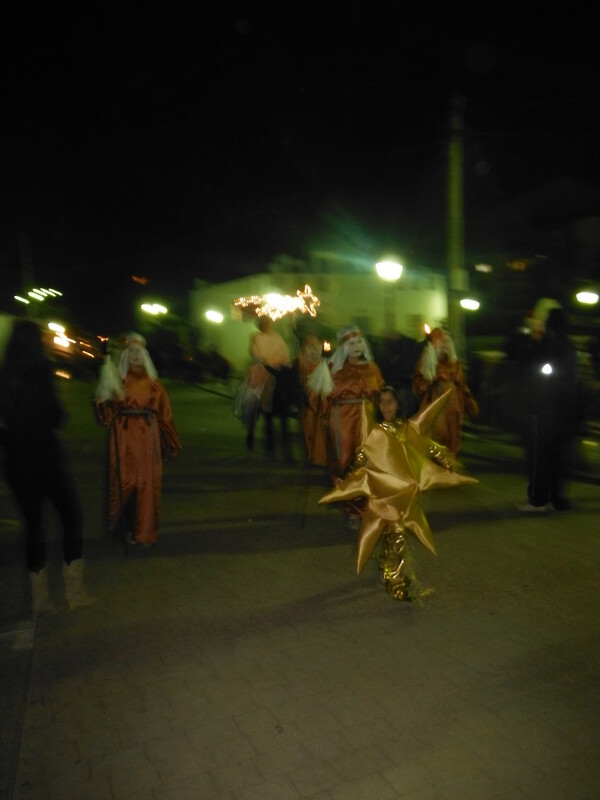 Disappointingly they didn't use a life one this year; maybe there were no babies born in Sanlúcar recently? 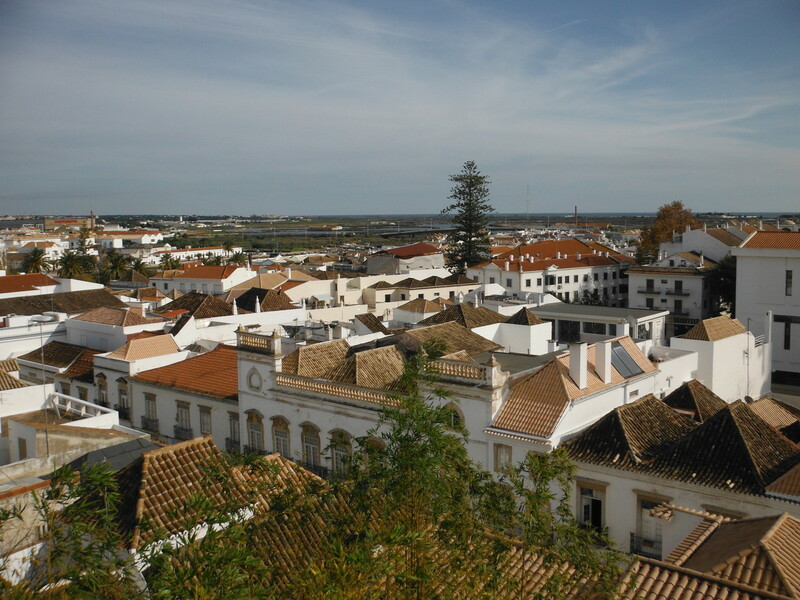 This is Tavira, a pleasant old Portuguese coastal town, with a river and a lagoon, but with a very different atmosphere from Vila Real. 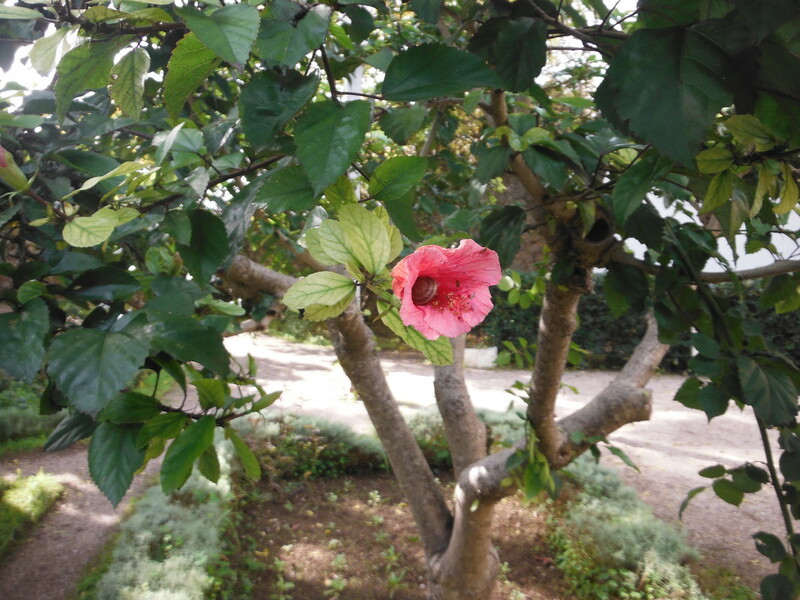 The camera has a mode for “flower”, very useful. 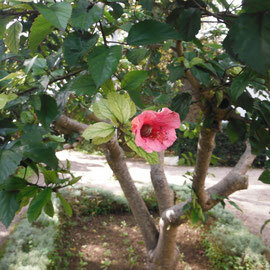 This hibiscus was inhabited by a snail, as if he didn't have a house for himself. 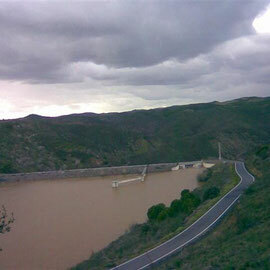 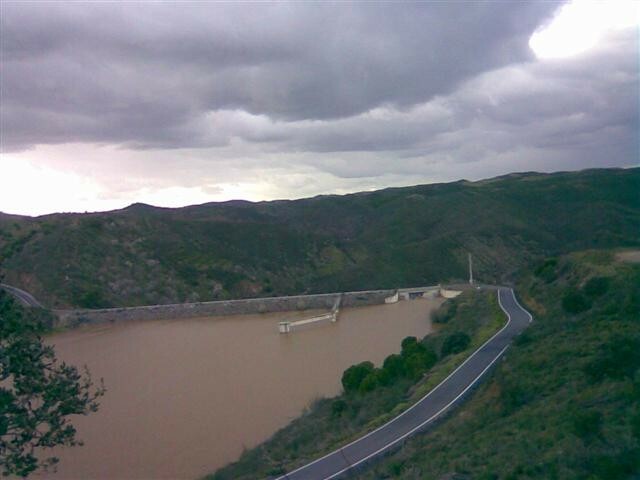 The Barragam (dam) at Alcoutim before and after some rain. 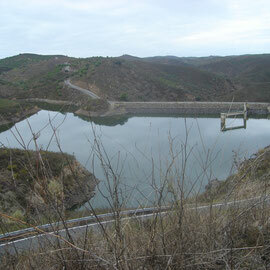 This picture is taken in Portugal. 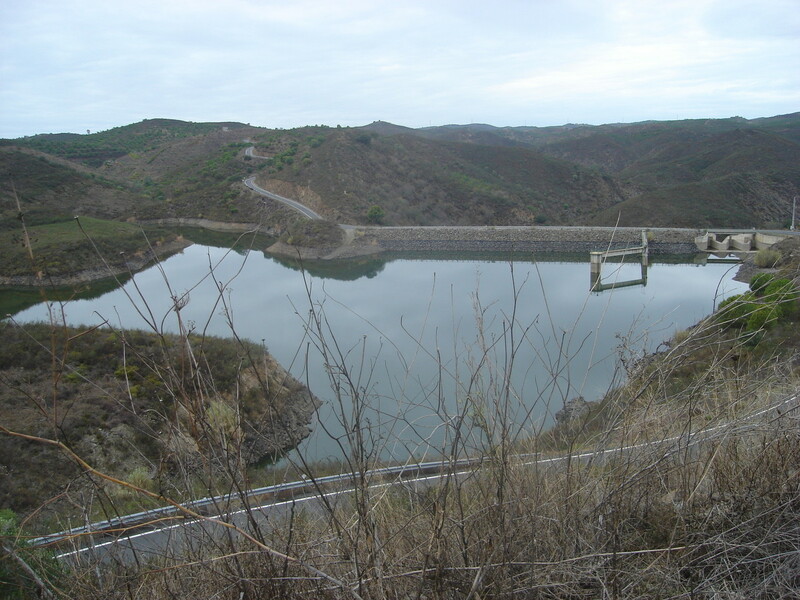 You can see the remains of an old Portuguese fort. 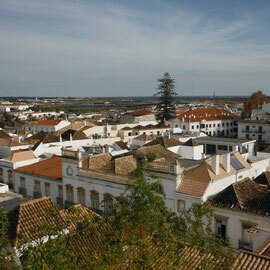 Behind that is the castle of Sanlúcar in Spain. 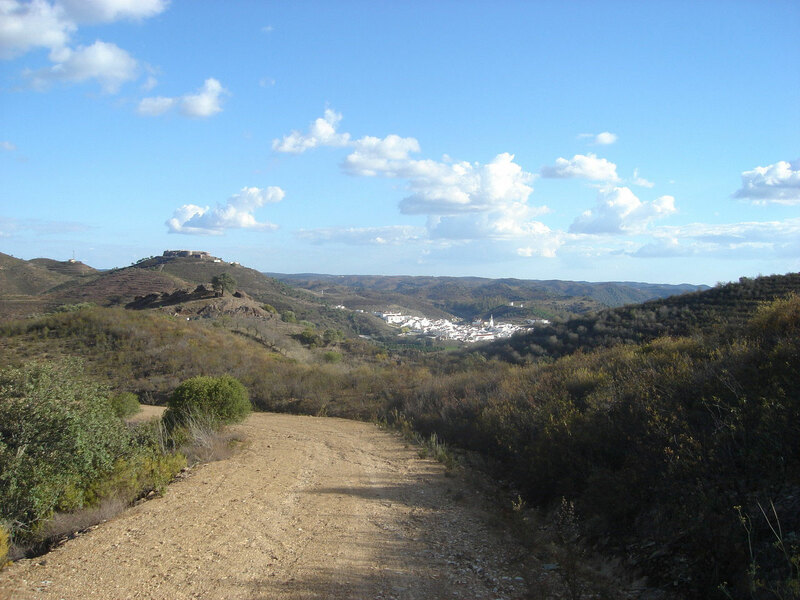 The Guadiana is between them, but out of view. The village is Sanlúcar. 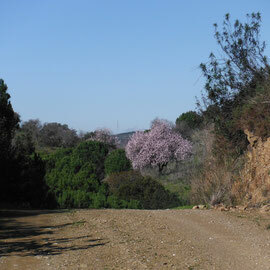 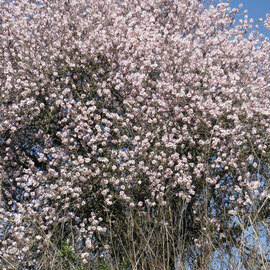 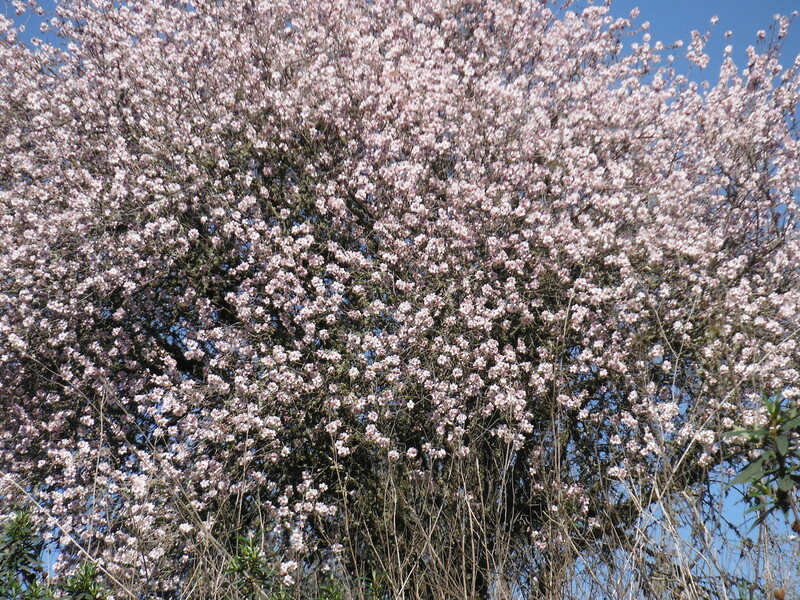 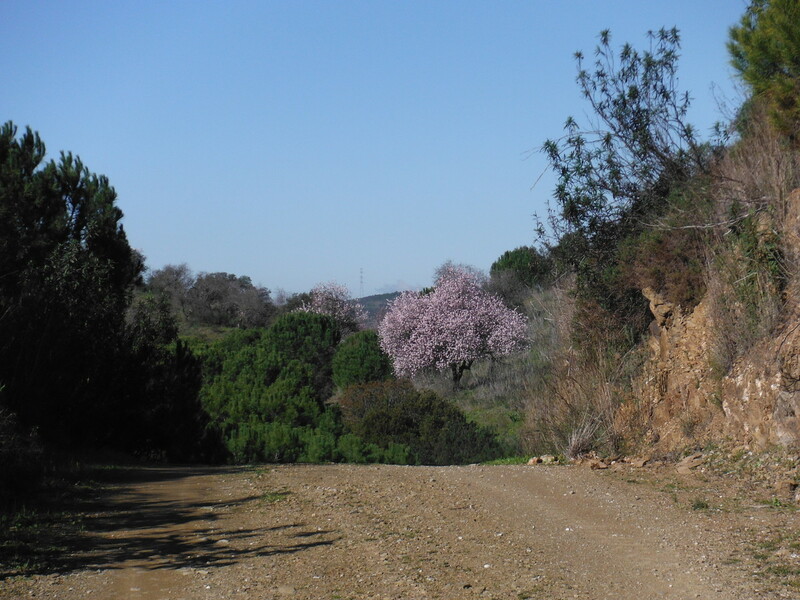 The walks are getting really nice now the almond trees are blossoming, this year much earlier than usual as we've had a rather warm spell. 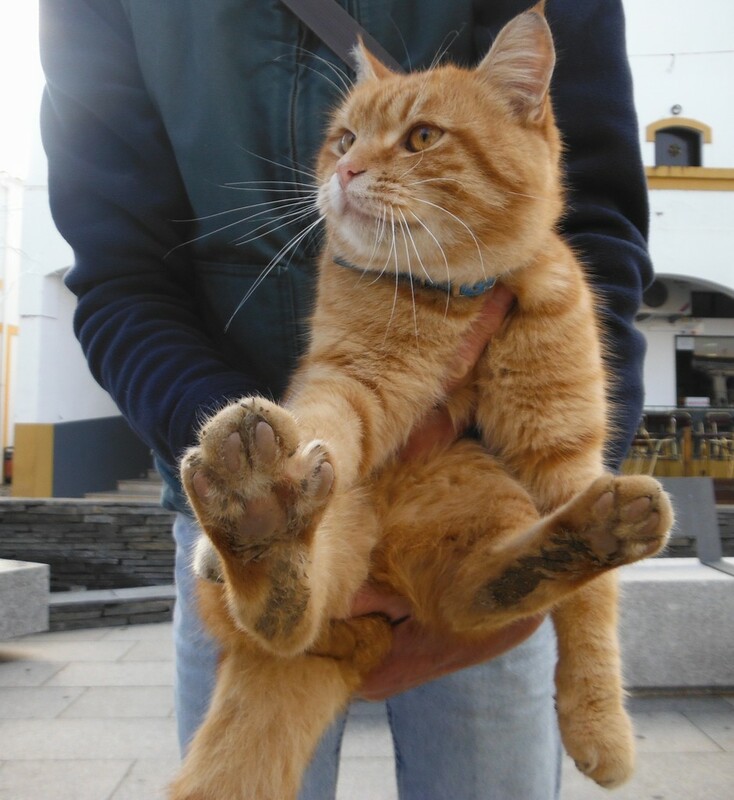 This is Batatinha (which means Little Potato), the most famous cat of Alcoutim. 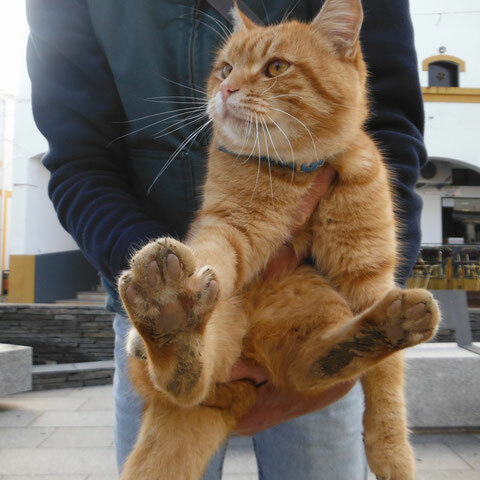 Well fed by lots of people and very loud when he thinks he should get more, which is often.